The LÄSSIG dish set with colourful motifs makes eating twice as fun. The tableware set includes a plate with four partitions, a bowl, a spoon and a cup with a handle on each side. 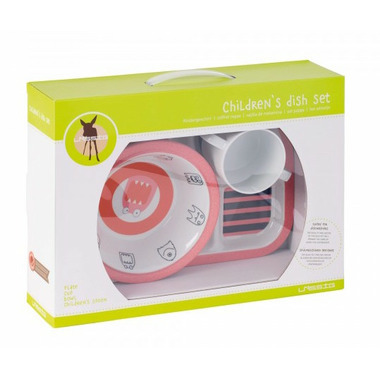 The lightweight dish set is made of 100% melamine and is dishwasher safe. 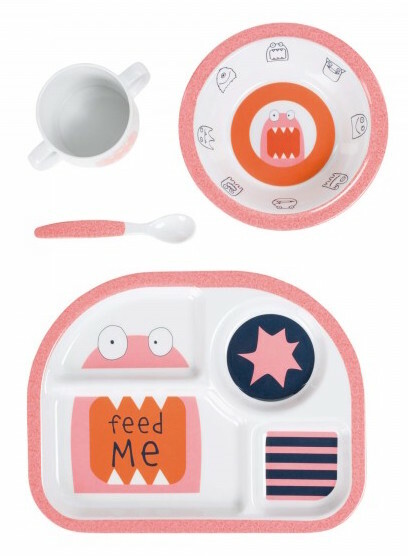 The tableware set is designed for children 1 year and up.